Hello and welcome to another cheerful Saturday here at the Wannaskan Almanac. Today is March 30th. The "On the Day" highlights below are pretty interesting today! President Reagan was shot on this day, Jeopardy aired, the U.S. bought Alaska from Russia and the Crimean War ended. The birthdays have significance for me personally, as well. Hubby wooed me with "My Heart Will Go On" and the Titanic movie when we were dating. MC Hammer will forever be linked in my memory with my adolescence and Zubaz. I opted to attend an Eric Clapton concert my junior year instead of prom. It was my first experience with secondhand pot smoke waaaaay up in the nosebleed section. I visited the Van Gogh museum in 1997 with my mother, brother and SIL. Aside from Van Gogh's work being brilliant, the museum itself is gorgeous and very well-laid out. The Queen Mother passed on this day in 2002. And I can't let this Saturday go by without a "Remembering You" shout out to the German author Karl May. (Note: pronunciation is "My" as in, This is my book, and not "May" as in, The month after April is May.") According to Wikipedia, "He is one of the best-selling German writers of all time with about 200 million copies worldwide." 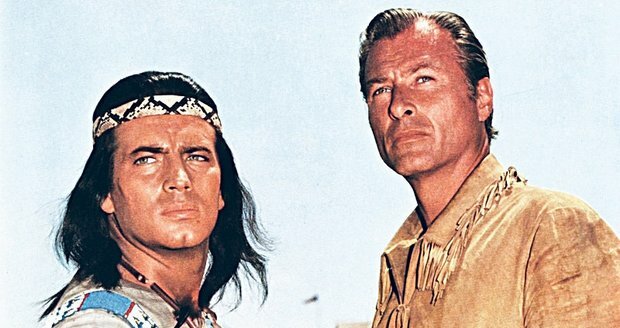 Karl May is the author and creator of adventure stories featuring Vinnetou (aka Winnetou), the Apache Indian hero of the American Old West. Vinnetou is a household name in young adult literature, not only in Germany, but across Europe. My husband grew up with Vinnetou and Vinnetou's BFF, Old Shatterhand. 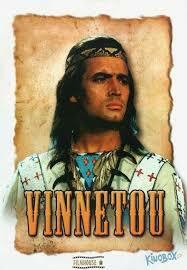 In the 1960s, Vinnetou movies were made - filmed in Yugoslavia with German actors wearing brown make-up. According to Wikipedia, "In April 2009, DVDs of the cleared remastered movies were issued in the Czech Republic, selling as an add-on to the Metro newspaper for 50 Czech crowns. All movies are dubbed into Czech and German, with subtitles in Czech and Slovak." This totally makes sense to me because sometime in the last 10 years, we have managed to acquire every Vinnetou DVD in the series. Now our kids love Vinnetou. The First Grader especially loves Rybana, the young woman with whom Vinnetou falls in love. Two years ago, she even came up with her own Rybana outfit! A fun fact is that Karl May never actually visited the American Old West. He only ever made it as far as New York. If you're looking for a family film recommendation, I'm happy to give you one for this series, with the understanding that it is a cowboys & indians type film. It's got good guys and bad guys - gunslingers, teepees, horses, saloons, locomotives, pretty girls, blood and guts and blue filtered lighting (i.e. nighttime) associated with this genre. Vinnetou is always the good guy. If you're a connoisseur of this kind of film, you might enjoy getting one German's perspective on the Wild West. The two oldest kids are at Minnesota North Star Regional for Robotics. So far, they are 4-0-0 in the qualifying rounds. Exciting! Will post results next week. 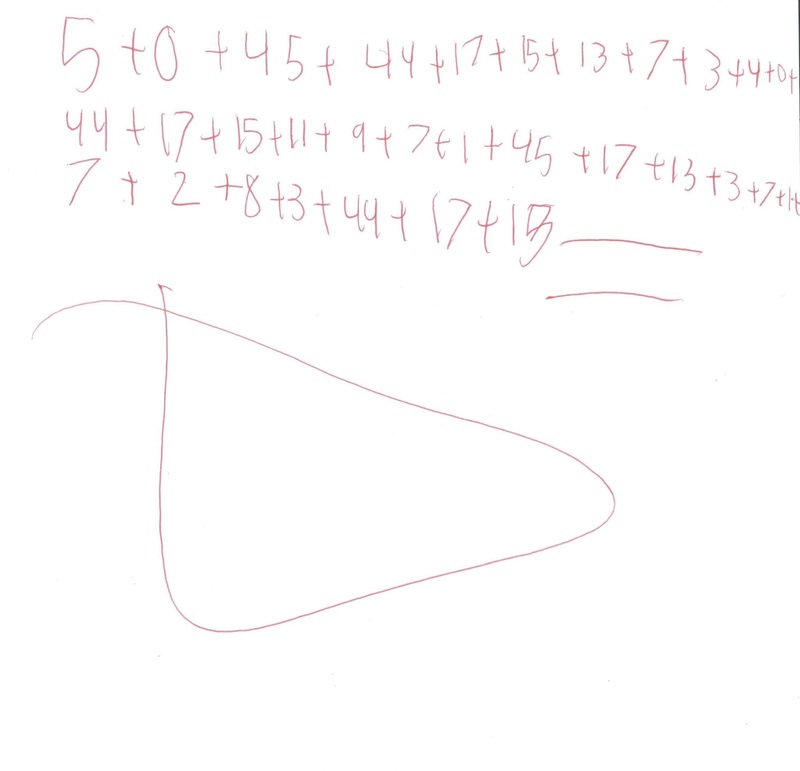 The First Grader presented this math equation to me this week. It was one in a series. She's busting out some serious math. A lone gunman opened fire outside a hotel in Washington D.C. The mentally ill assassin claimed his only motive was to become famous. In the event, which is annually commemorated on Land Day, 6 protesters were killed and scores injured by Israeli police. The program, which is still on the air today, is one of the world's most popular game shows. The territory at the north-western tip of North America cost only $7.2 million. Russia lost the war to a coalition of the Ottoman Empire, France, Britain, and Sardinia. Spend time with your heroes (those in real life or in literature) and and make it a great Saturday! Old Shatterhand looks (slightly) more native than Vinnetou. 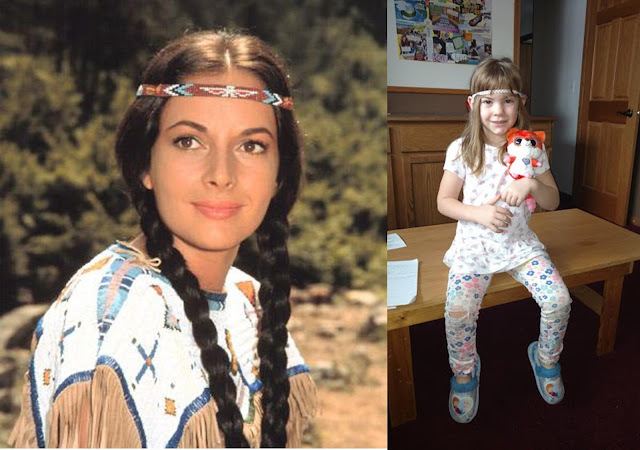 And Rybanna resembles the young Elizabeth Warren. Cool! Based on how popular Swiss Family Robinson and Grizzly Adams are in this house, we'll have to check this out!! So this is what Yiannis Chryssomallis did in his youth, I knew I recognized him! After all those adventures as Vinnetou and Old Shatterhand on European TV, he came to live in the U.S. full time, as an adult. Orchestrated as a musical, Vinny, dressed in his authentic European Indian costume, sings "My Girl" to his soul mate 'LovelyMama', below Mount Rushmore, where unknowingly, dangling helplessly above him against Jefferson's cheek, is the big Swede who was to unfurl a banner announcing Vinny's love interests, Vinny suddenly stops, looks up and shouts, "O SHAT!" This show was quite popular in the US.